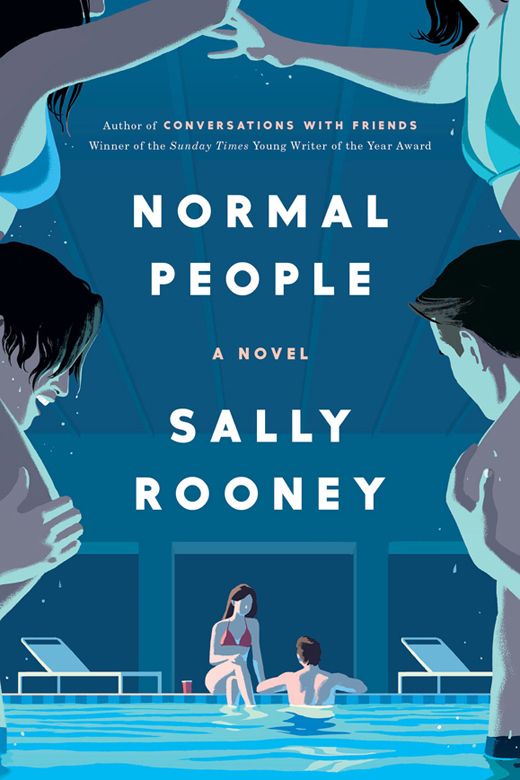 Sally Rooney's Normal People, Dolly Carlson's The Red Coat: A Novel of Boston, and Lynn Ruane's People Like Me. Recently-published books of Irish and Irish American interest. Normal People by Sally Rooney. There is something quietly knowing in the title of Sally Rooney’s second novel. Perhaps the reader is lulled into a false sense of security by the reassurance that these are characters just like us. And for the most part, they are. But anyone who read her first book – Conversations with Friends – would be acutely aware that Rooney specializes in anything but normal. Marianne and Connell have known each other for years. They’re at school together, and they meet regularly after school as Connell’s mother cleans house for Marianne’s mother. Both are intelligent, well-read, and academically gifted. They get on reasonably well and can chat easily about all manner of things. But at school they ignore each other. He’s a popular jock, she’s an excluded weirdo; and that teenage obsession with never stepping outside your circle keeps them decidedly apart. When they eventually start a secret relationship, the reader knows that things can’t end well for them. A love that has to be hidden from the get-go is never going have a fairytale ending. True to form, there is an unforgivable betrayal and a parting of the ways. Fast forward a few months and the erstwhile lovers are now in college together, with quite the reversal of roles – he’s an outsider who struggles to fit in, while she is Ms. Popular on campus. With a lightness of touch that is to be admired (and envied!) in one so young, Rooney expertly brings her main characters to life – introducing weighty themes in the process – to the extent that the reader can see and hear them, and really understands what makes them tick. The Red Coat: A Novel of Boston by Dolley Carlson. In her first novel, Dolley Carlson, author of four non-fiction books, creates a wealth of characters, and a rich storyline that crosses cultures and generations, and leaves the reader hoping that The Red Coat: A Novel of Boston, is just the first installment of what will become a series of several books. 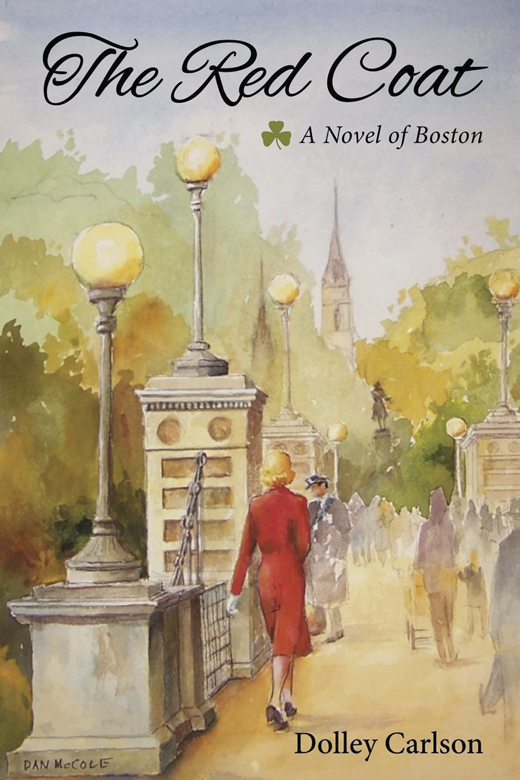 In real life, Carlson is a third generation, South Boston, Irish American, the daughter of Boston Police Department cop, and she sets her novel in Boston in the pre- and post WWII era of the 1940s and 1950s. The story is based around Norah King, an Irish domestic, whose love for her children gives her the courage to ask her wealthy employer, Caroline Parker, for and elegant coat belonging to her daugher Cordelia, that she had been planning to give to the poor. This simple exchange will impact their respective daughters and families for years to come. Carlson shows us the contrasting lives of the Kings and Parkers as both families struggle with the realities of life, the joys and trageties.The less privileged Kings, despite their lack of wealth, are rich in love and family pride, the privileged Parker’s are poor by contast. Carlson introduces us to Norah King and Caroline Parker early in the novel and they remain with us to the very end, impacting the lives of their children, body and spirit. What comes through in Carlson’s writing is the profound influence of a mother on her family, especially an Irish mother. I was gratefully reminded of my own mother, and her words of wisdom, which we continue to lovingly pass on to the next generation. 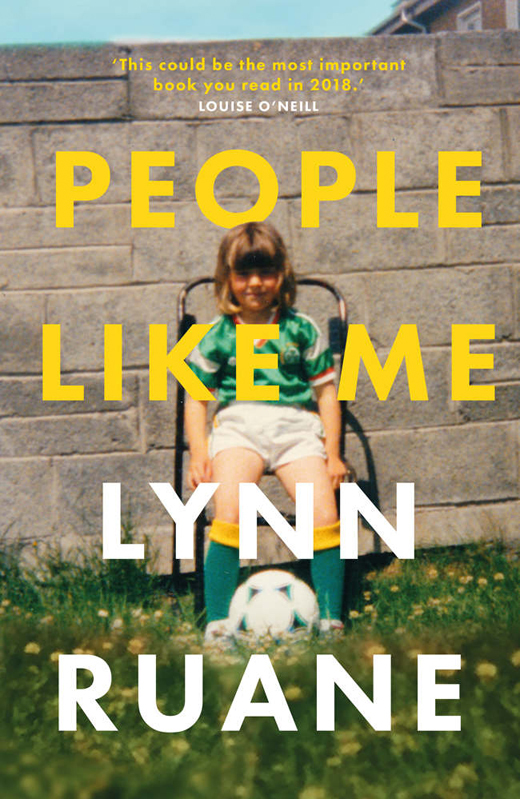 People Like Me by Lynn Ruane. In having this title for her first book (there’s no doubt there’ll be another – the author is only in her 30s), Irish Senator Lynn Ruane seems to be claiming she’s just like everybody else from the West Tallaght neighbourhood in which she grew up. Dabbling in drugs and alcohol from a very young age, running wild as her parents drove around at night looking for her, pregnant at 15, and on a destructive path that could well have seen her in an early grave, Ruane proved herself to have a tenacity that marked her out as very different from everyone else, despite the book’s title. Determined to keep herself healthy to give her baby its best shot at survival, Ruane turned her back on illicit substances, and even returned to school. A neighborhood project for troubled youth proved the turning point in her young life, and she subsequently went on to help others in similar circumstances as a community worker. The next step in her rehabilitation was the Trinity Access Programme – which helps people from under-represented groups to achieve a third-level degree – and eventual degrees in philosophy, political science, sociology and economics. While at Trinity, she entered the world of student politics, a continuation of the activism she had practiced in her own community. By 2016 she was a senator, working from inside the rarefied confines of Seanad Eireann to further her ambition, to give a voice for the underrepresented in Irish politics, and to continue on the path of challenging inequality, and passionately defending education.